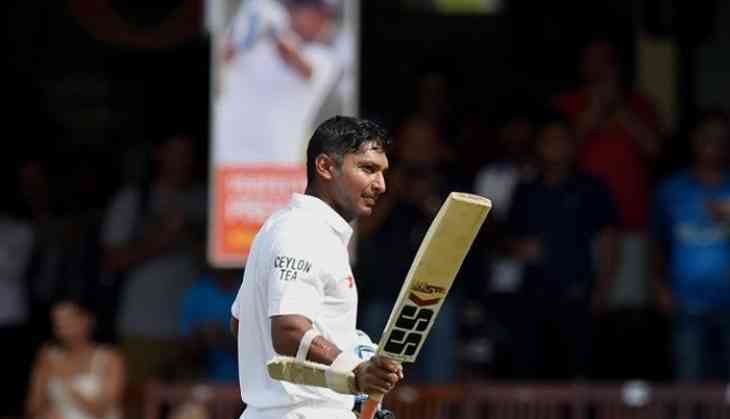 Former Sri Lankan batsman Kumar Sangakkara has added one more feather to his cap as he became the first batsman to reach 1,000 runs in the Specsavers County Championship this season. Sangakkara's latest century, his sixth this season, propelled Surrey to 516 for seven declared during a heavily rain affected Day Two at Headingley against Yorkshire. The left-hander operated at a brisk pace and was happy to score most of his runs in boundaries. The left hander was unbeaten at 180 from 183 balls when Surrey declared their innings. Sangakkara hit 21 fours and four sixes in his knock. The Sri Lanka legend reached his sixth century in only his eleventh innings off 136 balls with 12 fours and a six and his 150 off another 28, reports ESPNcricinfo. The 39-year-old now averages 108.6 this season from just 11 innings. He has scored 1,086 first-class runs so far this season - 271 ahead of the closest batsman - which takes him above 21,00 career first-class runs.